The custom designer top view pedometer is definitely an eye-catching utility device with enough potential to propagate your brand identity. 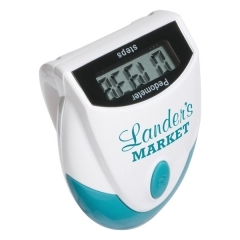 It helps your employees or well wishers count the number of steps up to 99,999. 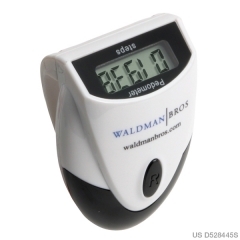 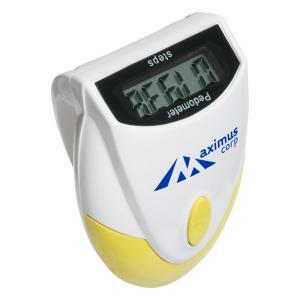 The yellow pedometer measures 2-1/8” x 1-1/2” x 1” and gives a decent platform to imprint your brand name and logo. 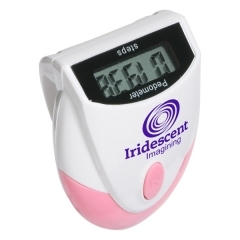 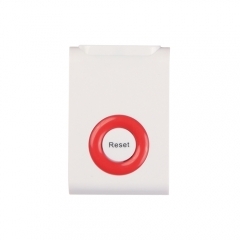 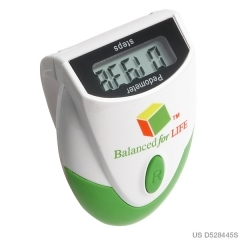 The promotional designer top view pedometer has a top view LCD display to show the number of steps taken. This has an auto shut off and idle mode function that makes it a better energy saving gadget. The personalized designer top view pedometer is an all time perfect gift for those who want a well trimmed physique.